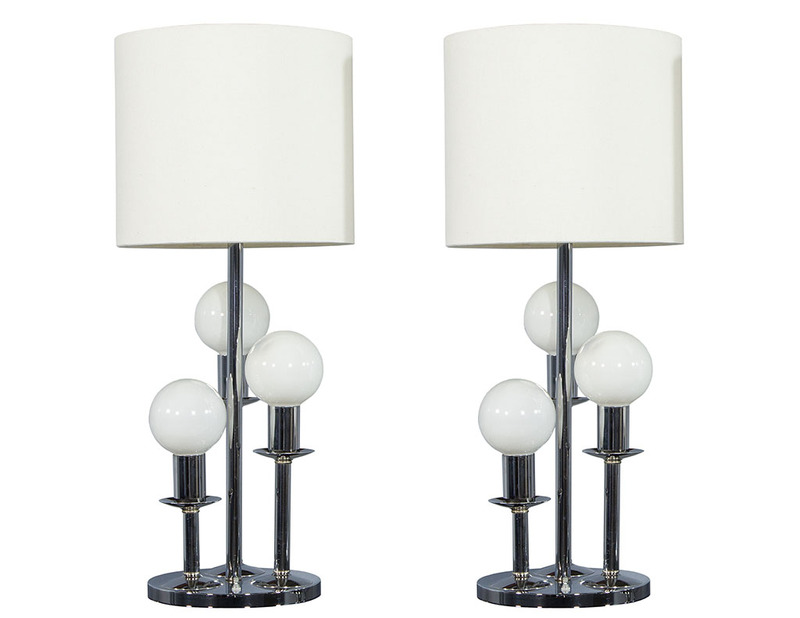 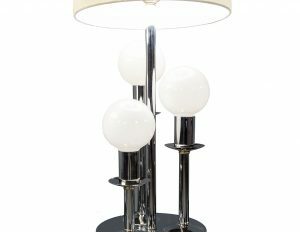 These are unique modern table lamps, made in America circa 1970s. 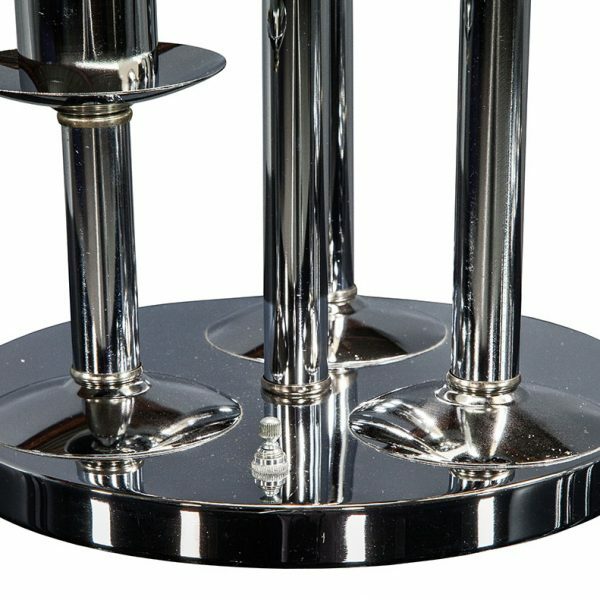 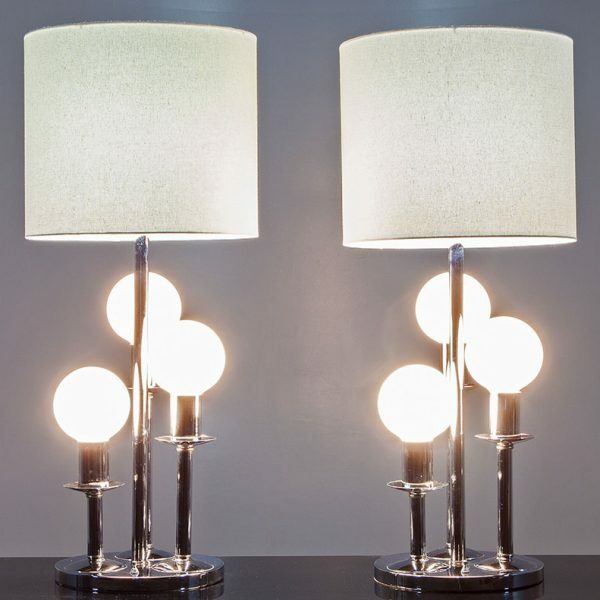 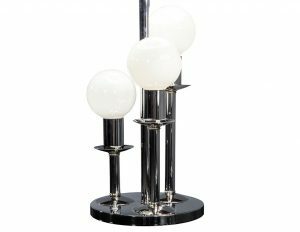 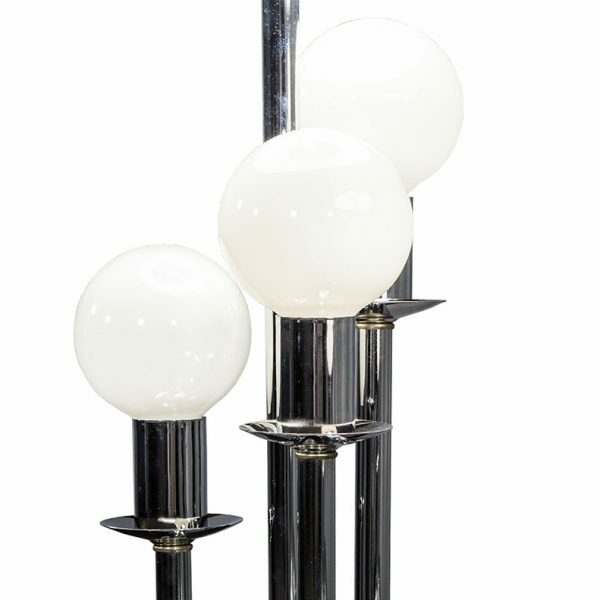 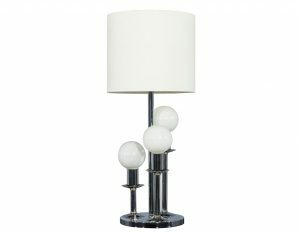 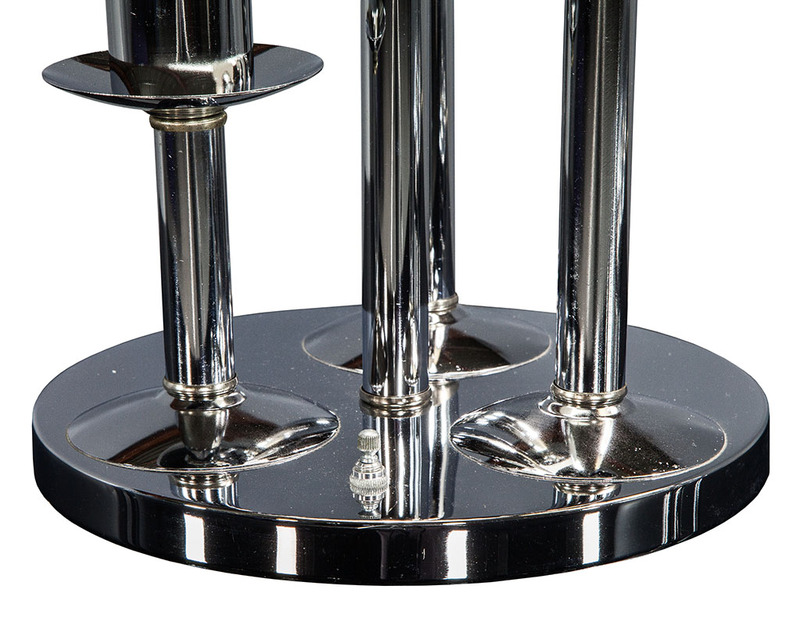 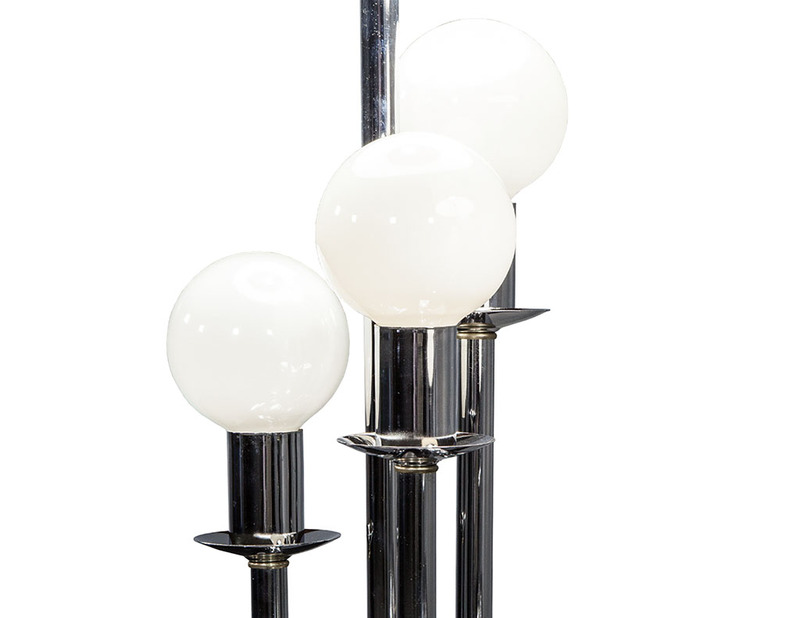 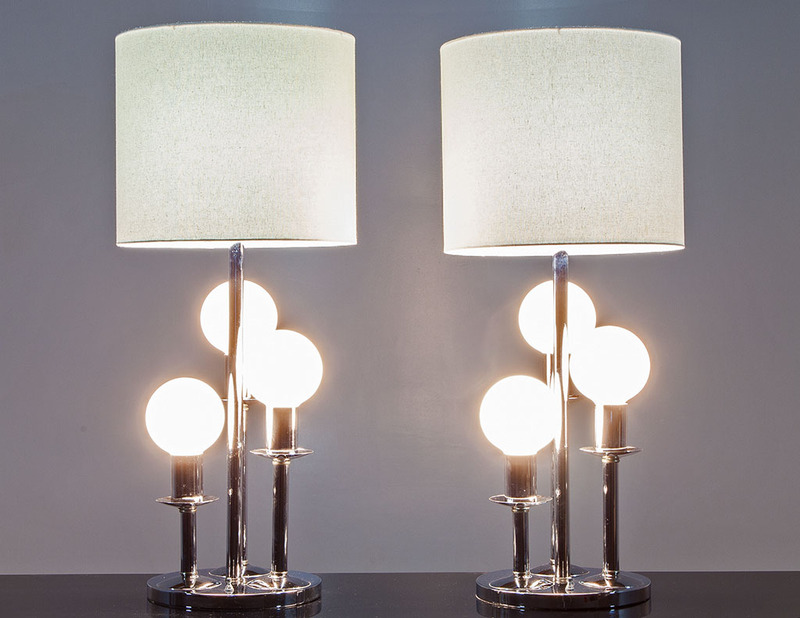 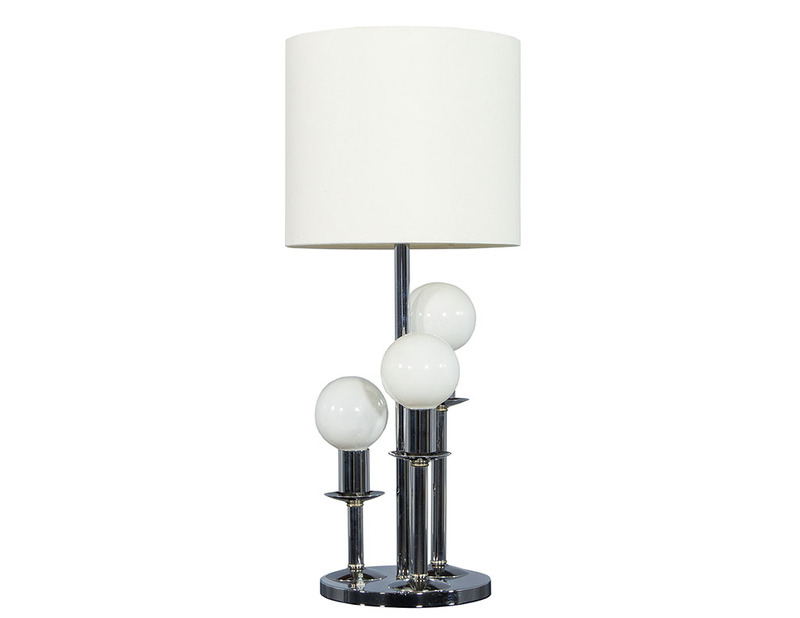 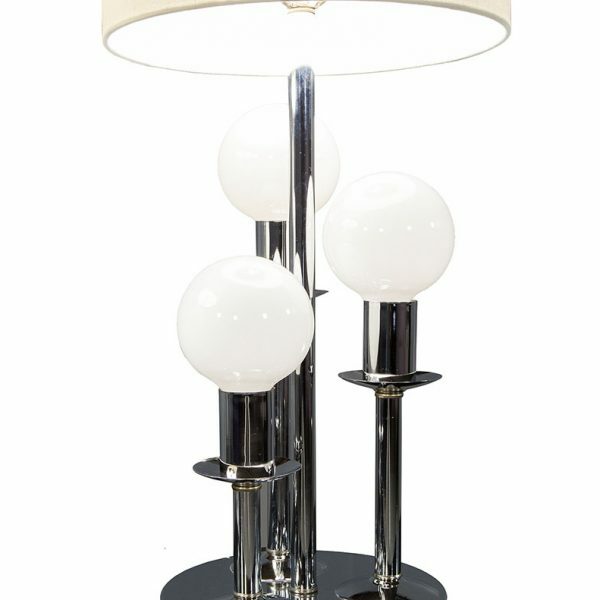 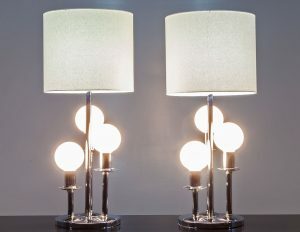 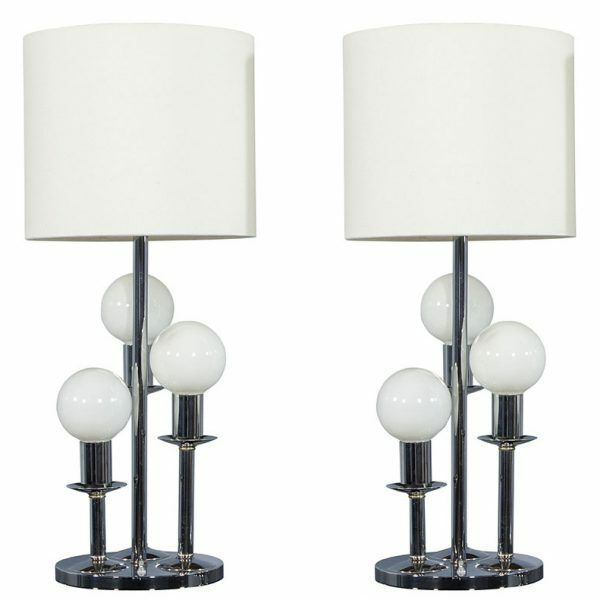 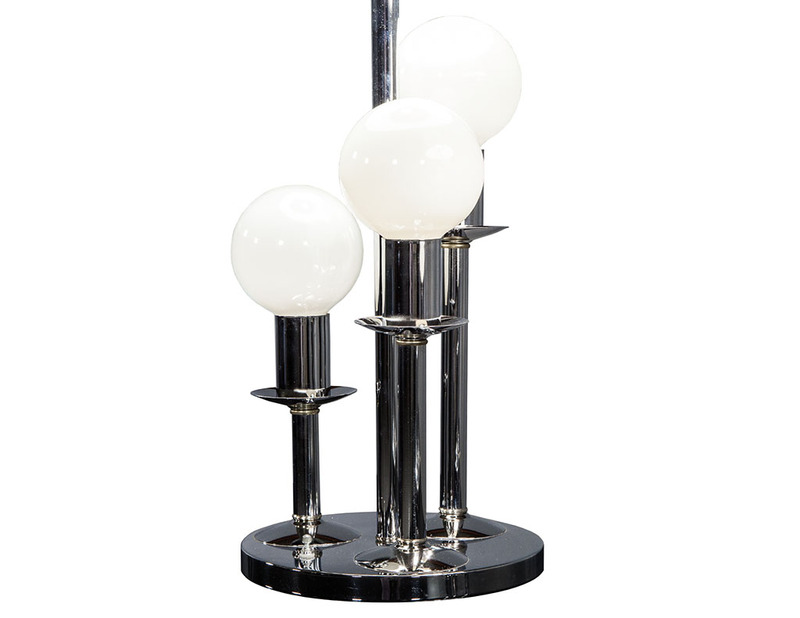 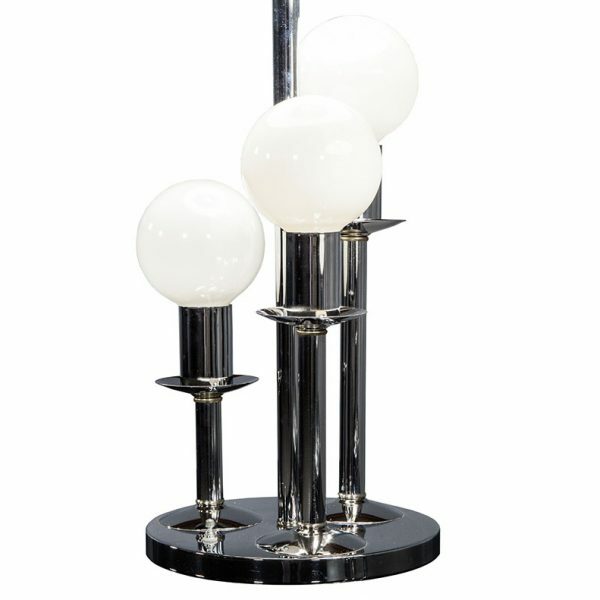 They consist of a round polished chrome plinth base with three graduated pedestals holding large globe bulbs. The lamp combines futuristic design with the traditional concept of a shaded fixture providing two different ambiences with separate switches for both the upper fixture and lower bulbs. 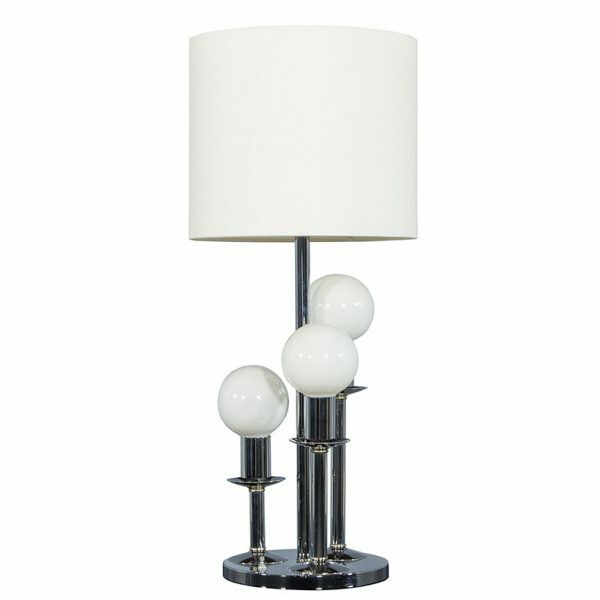 Great pieces to add into a modern or transitional space.